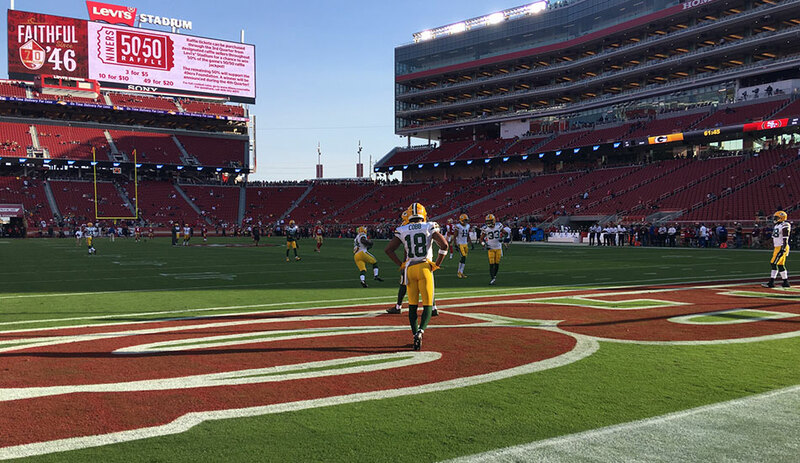 SANTA CLARA, Calif. — It could be a big night for the young players in the Packers’ defensive front seven as they continue to battle for roster spots. Two defensive linemen in Kenny Clark and Letroy Guion and two inside linebackers in Joe Thomas and Jake Ryan are not playing on Friday night at Levi’s Stadium against the 49ers, which could mean more reps for the players at those spots fighting to make the roster. On the defensive line, practice-squad holdover Christian Ringo and undrafted rookie Brian Price could get their share of work after Mike Daniels exits the game, while at inside linebacker, Carl Bradford and Beniquez Brown could get extra work once Sam Barrington and Blake Martinez are done. Rookie Dean Lowry could also see a larger number of snaps on the defensive line as the Packers work on getting him ready for Week 1, though as a fourth-round draft pick his roster spot isn’t really in question. Derrick Mathews, who has had a quiet training camp so far, is another inside linebacker to keep an eye on to see if he makes a move. Weather update: It’s a beautiful evening in northern California. At kickoff, temperatures are expected to be in the low 70s, dropping into the 60s during the game. There is no chance of rain and winds are expected to be minimal, 10 mph or less. ICYMI: In case you missed anything, here’s a recap of the headlines from earlier in the week. As per team tradition, the Packers select game captains each week. Tonight’s captains will be G T.J. Lang (offense), DB Micah Hyde (defense) and S Chris Banjo (special teams). COPYRIGHT © GREEN BAY PACKERS, INC.